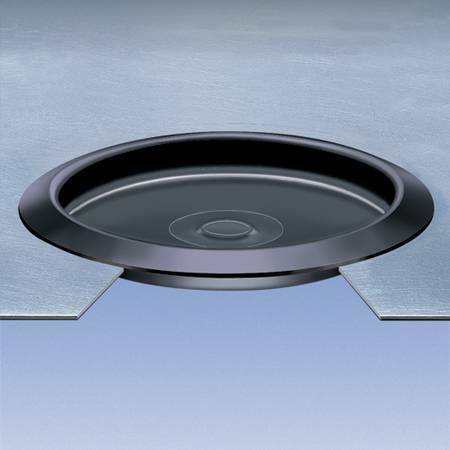 Provides an attractive, finished appearance for access holes in sheet metal. Widely used on automobile bodies, tanks, appliances or in any application where an attractive appearance is needed. Flexible yet durable. Snap-in ring provides a secure fit. Material is low-density polyethylene. Standard color is black. Description Recessed style plugs are similar to flush style plugs; however, the middle of the plug is recessed, providing a different finished look. Although the recessed style plugs are used on mostly the same applications as flush style plugs, they create a hollow finish.